For a highly versatile, affordable and fun to drive crossover, get behind the wheel of Hyundai's new Kona. This small and sporty crossover delivers plenty of cargo space plus high-tech features at a value price. With a fresh look and upscale styling inside and out, the latest Hyundai Elantra provides refinement in the compact car class. Get into the surprisingly sophisticated new Elantra at an affordable price. The new Hyundai Sonata mid-size sedan blends style and sophistication with Hyundai's latest technology features and a smooth ride. Discover the latest iteration of Hyundai's popular sedan at Hyundai of Gadsden today. The recently redesigned Hyundai Santa Fe boasts the passenger space and cargo capacity your family needs, plus the advanced safety features you want. Tour the lineup of spacious new Santa Fe SUVs today! Hyundai of Gadsden invites drivers from nearby Birmingham and Albertville, AL to shop our extensive inventory of new Hyundai models and used cars for sale at our full-service dealership. Car buyers can start their car search for a competitively priced new Hyundai Santa Fe or another Hyundai car or crossover here on our easy-to-use website. 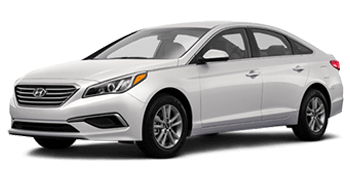 Shop for popular cars like the new Sonata and Elantra sedans here on our website, then stop by our Hyundai dealership in Rainbow City, AL for a test drive! With every new Hyundai comes America's best factory warranty, so choose peace of mind and drive a new Hyundai from Hyundai of Gadsden. As a full-service Hyundai dealer, you can find not only new and used cars here, but the financing, genuine Hyundai parts and expert auto service you deserve. Whether this will be your second or third Hyundai purchase or you are a first-time car buyer with no credit, our finance team is here to help you get the auto loan you need to have a dependable mode of transport. We also assist car buyers with less than perfect credit scores, so no matter your situation, we encourage you to apply for financing today! Our service department employs ASE and Hyundai Certified technicians who utilize genuine Hyundai parts and OEM-replacement components for high-quality results. 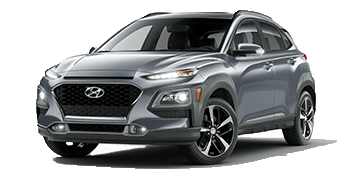 To discover the very latest cars, crossovers and SUVs from Hyundai, shop at Hyundai of Gadsden, where we maintain a large inventory of shiny new Hyundai vehicles for sale at competitive prices. 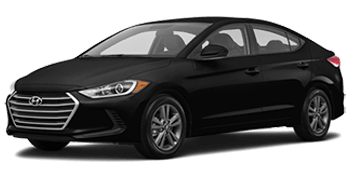 No matter if you are looking for a sleek Hyundai Sonata sedan or sporty new Hyundai Kona crossover, we have plenty of vehicles in stock in a range of trim levels, colors and options. Drive over from Albertville, Alabama or beyond to our Rainbow City, AL dealership or begin your car search here on our website, where you can compare our current lineup of Hyundai models and trim levels. Our new and used car dealership near Gadsden, AL carries an extensive selection of pre-owned cars and SUVs for sale from a variety of popular makes. Let our used car sales staff know what type of car you are after and your budget, and we can assist in your search! Pre-owned models like a used Hyundai Elantra and Elantra continue to be popular options for local drivers and families. While you are shopping for your next car or SUV, you can also value your trade online or in-person; it's a stress-free way to sell your car while shopping for a new or pre-owned Hyundai! The on-site finance team here at Hyundai of Gadsden is committed to securing auto loans for local car buyers of all credit levels. By submitting an online credit application today, you can be pre-approved for financing for a new Hyundai or used car promptly. Once you apply for auto loans and our finance department reviews your application, talk to us about the car you want to drive and we will work to find you viable auto loan options that fit your monthly budget. Looking for professional auto service near Birmingham or Albertville, Alabama? Then visit the dedicated service department at Hyundai of Gadsden! The ASE Certified and Hyundai factory-trained technicians at our service center perform everything from routine maintenance like tire rotations to more extensive work like transmission service and Hyundai warranty repairs. No matter what you drive, visit us for a tire inspection, oil change or brake service near Gadsden, AL. To keep your Hyundai running in peak condition, genuine Hyundai components and accessories are recommended. 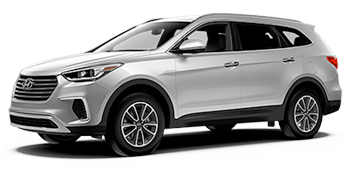 The parts department at Hyundai of Gadsden stocks genuine Hyundai parts at competitive prices and has knowledgeable Hyundai specialists on staff to answer any parts questions you may have. Visit our customer parts counter at our Rainbow City, AL dealership and our parts team will assist you in obtaining the parts you need for your home auto project. Local DIY types can also use the online parts request form here on our website to order genuine Hyundai parts from our parts department. Hyundai of Gadsden serves drivers near Albertville, AL and surrounding cities as a full-service Hyundai car dealership, and we have made available many of our automotive services here on our website for your convenience. From scheduling auto service and getting a trade-in estimate for your car to applying for financing and researching the latest Hyundai models, you can do it all on our website before you visit our dealership in Rainbow City. The entire team here at Hyundai of Gadsden looks forward to serving you with top-notch customer service and low prices soon!